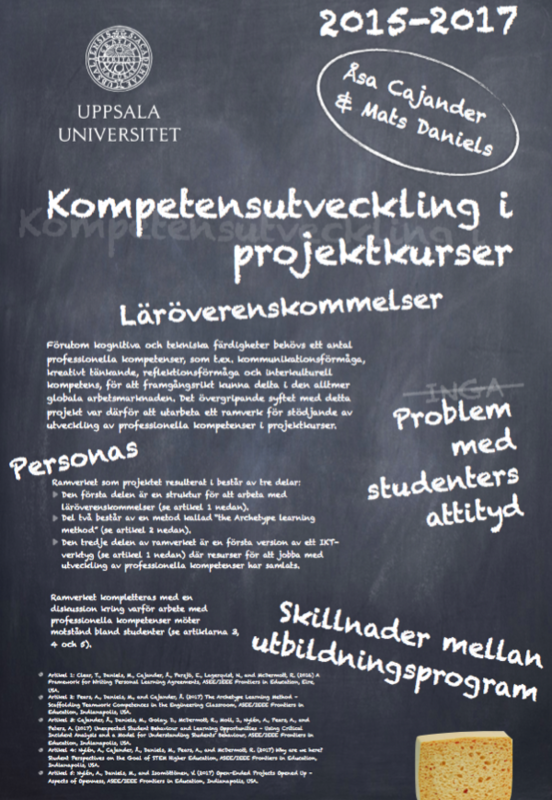 Mats Daniels and I will present a poster at the local development conference TUK. This is an event where pedagogic development is presented and discussed. I enjoy these kinds of discussions and participate as often as I can. The poster was designad by Gerolf Nauwerck, see below.